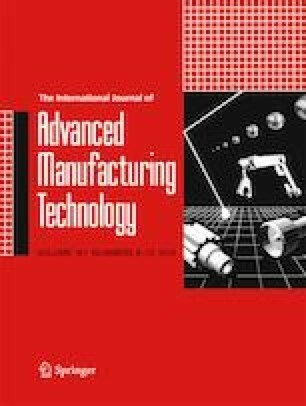 The material removal rate (MRR) of electrical discharge machining (EDM) is low when machining difficult-to-machine materials; to address this issue, a novel high-speed electrical machining (EM) method, namely vibration-assisted electro-arc machining (VEAM), is proposed in this study. In the process of VEAM, a graphite pipe was used as a tool electrode with high-pressure tap water medium applied inside. A direct-current power supply was used to generate enough energy for the machining process and vibration was applied onto the workpiece through the workbench. In our experiments, high-speed steel W9Mo3Cr4V serving as the workpiece was fixed on a workbench and a workpiece vibration along the Z-axis was provided by an electromagnetic vibration table through the workbench. The results showed that the superposition of vibration in electro-arc machining (EAM) can improve the MRR excellently. The maximum MRR of 8565 mm3/min was achieved with a 33% increase in EAM. The working mechanism of VEAM was investigated and comparative experiments with different machining parameters were conducted. The effects of the vibration frequency and amplitude were studied while the MRR, surface roughness (Rz), relative electrode wear ratio (REWR), and white layer thickness (WLT) and were selected as the evaluations. The results indicated that the novel high-speed VEAM method has great potential to obtain a higher MRR and a lower REWR. The work is financially supported by grants from the National Natural Science Foundation of China (Grant no. : 51775316), the National Youth Science Foundation (no. : 51705236), the Breeding Project of Inter discipline of Shandong University (no. 2016JC008).